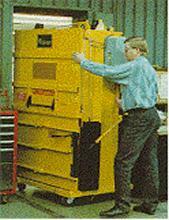 Small Compact Baler with a very big punch! allows it to fit through a standard 3' x 7' doorway. 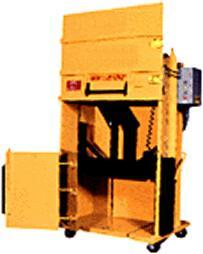 The 42" Compact Baler can operate where ceilings heights are only 8 feet. 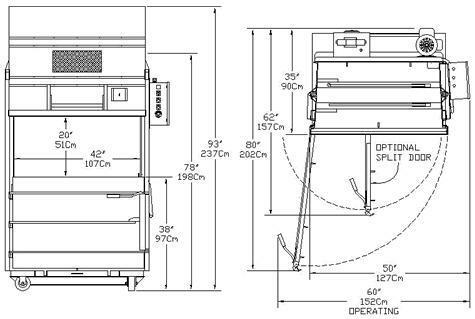 Loading Door Opening 20" x 42"
Depth with Door Open 80"
Width with Door Open 60"